In just a year, scientists have confirmed not one but five gravitational waves. But don’t worry, if you thought gravitational waves — essentially ripples in the fabric of space-time — are now dull and mundane, scientists found new ways to keep them interesting. New research showed that it’s theoretically possible to pick up the low-frequency gravitational waves generated by events such as the merger of two supermassive black holes. The discovery could be ten years away. Gravitational waves have made a lot of headlines lately so what’s with all the hype? The existence of gravitational waves, which were first predicted by Einstein’s Theory of General Relativity about a hundred years ago, was only confirmed only last year. 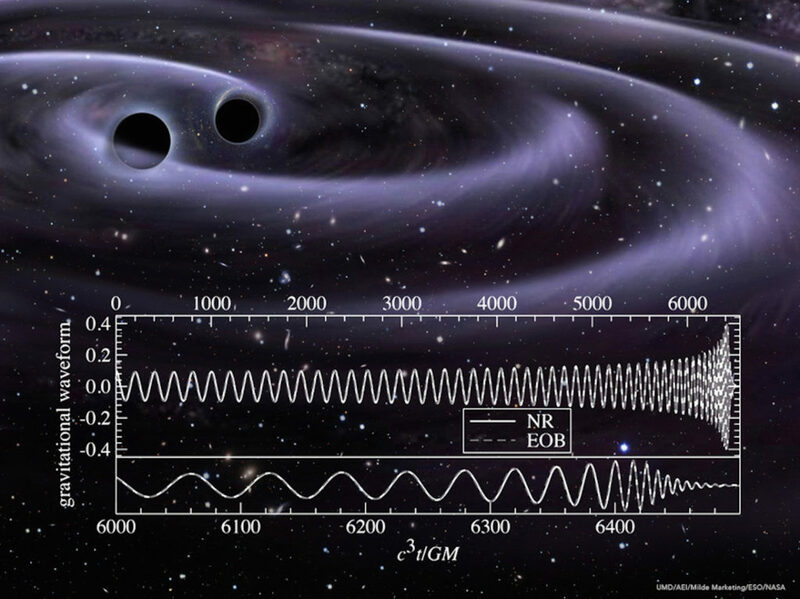 The event was recorded by the Laser Interferometer Gravitational-Wave Observatory (LIGO), whose founders were awarded this year’s Nobel Prize in Physics. Gravity waves are essentially ripples in the fabric of spacetime which are generated by interactions between very massive accelerating cosmic objects, such as neutron stars or black holes. Physicists liken gravity waves to the waves generated when a stone is thrown into a pond. Gravity waves are basically ripples/distortions in the medium that we live in, space-time itself. Credit: ESO/NASA. LIGO was founded in 1992, so it took them 25 years to prove their existence. That’s because detecting a gravity wave is no easy feat. To spot gravitational waves directly for the first time, scientists had to measure a distance change 1,000 times smaller than the width of a proton using interferometers, basically mirrors placed 4 kilometers apart. In the case of the September 14, 2015, observation which was announced on February 11, 2016, scientists observed gravitational waves produced by the collision of black holes with a mass about a dozen times that of the Sun. Since then, gravitational waves have been spotted another four times. The most recent observation of a gravitational wave was generated by the merger of two neutron stars, which are the collapsed cores of large stars — they’re the smallest and, at the same time, densest stars we know of. The event was detected both by LIGO and by traditional telescopes which picked up light from the gamma-ray bursting out of the neutron star merger. Astronomers, however, would like to also detect far stronger gravitational waves, such as those produced by the merger of supermassive black holes — behemoth black holes whose mass can be millions if not billions of times greater than that of the Sun. The problem is that neither LIGO nor VIRGO can register low-frequency signals such as those generated by extremely massive events. Thankfully, scientists have already thought of a solution. According to a new paper published in the journal Nature Astronomy, it’s quite possible to detect gravitational waves from merging supermassive black holes by studying the subtle anomalies in pulsars. A pulsar is a rapidly rotating neutron star which emits electromagnetic signals. These objects are also very dense, holding the mass of the sun in about the size of a large city. Pulsars radiate two steady, narrow beams of light in opposite directions. Although the light from the beam is steady, pulsars appear to flicker because they also spin. 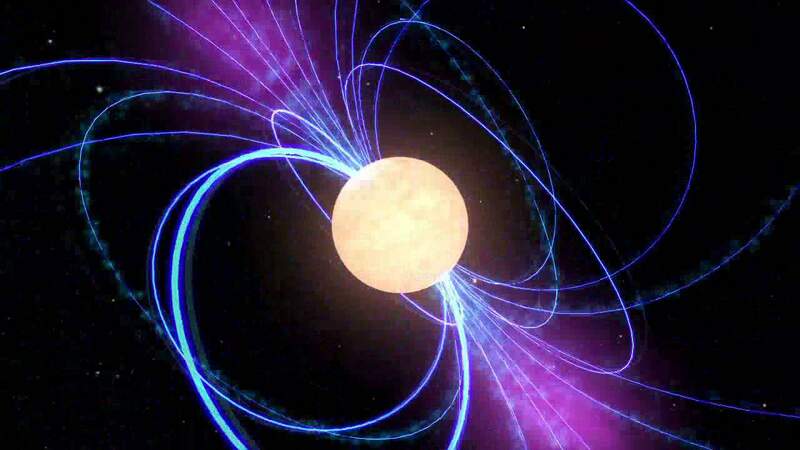 For this reason, pulsars have earned the nickname of ‘cosmic lighthouses’. With enough data, by studying the periodicity and strength of the pulsar signals, scientists can infer the presence and strength of a gravitational wave if the pulsar signal is delayed even by a tiny amount. In order to predict where and when supermassive black hole mergers might occur, researchers employed data from the 2 Micron All-Sky Survey (2MASS), which they combined with galaxy merger rates recorded by the Illustris simulation project. Ultimately, detecting a gravitational wave generated by merging supermassive black holes could teach us more about how galaxies form and merge, helping us unravel the secrets of the universe.